Russia car sales rose 1.8 percent last month to 160,180, helped by the introduction of government subsidies for lower-priced vehicles, the Association of European Businesses (AEB) lobby group said. The result was a rebound from the 3.6 percent fall seen in February as the subsidies helped offset a January tax rise that had subdued demand. "Consumer demand is still lagging behind the momentum we saw one year ago. 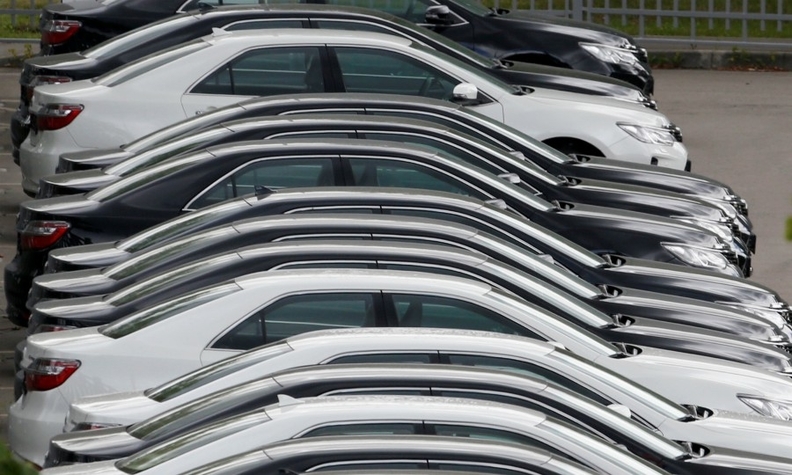 Government subsidies for lower-priced vehicles effective from March obviously also helped to improve the total market picture this month," AEB Chairman Joerg Schreiber said. Market leader Lada increased sales 10 percent during the month, while its closest competitor, Kia, boosted its volume 2 percent. Third-place Hyundai dropped 2 percent, while No. 4 Renault was down 7 percent. Toyota, in fifth place, rose 3 percent. Download March, 3-month sales by brand here. Other winners included Nissan (+27 percent), BMW (+20 percent), Skoda (+7 percent), and Mercedes-Benz (+3 percent). Among the losers, Ford fell 32 percent, Mitsubishi dropped 6 percent and VW slipped 1 percent. In the first quarter, Russia sales fell 0.3 percent to 391,650.